alison redford and her new cabinet could lead a new urban agenda. 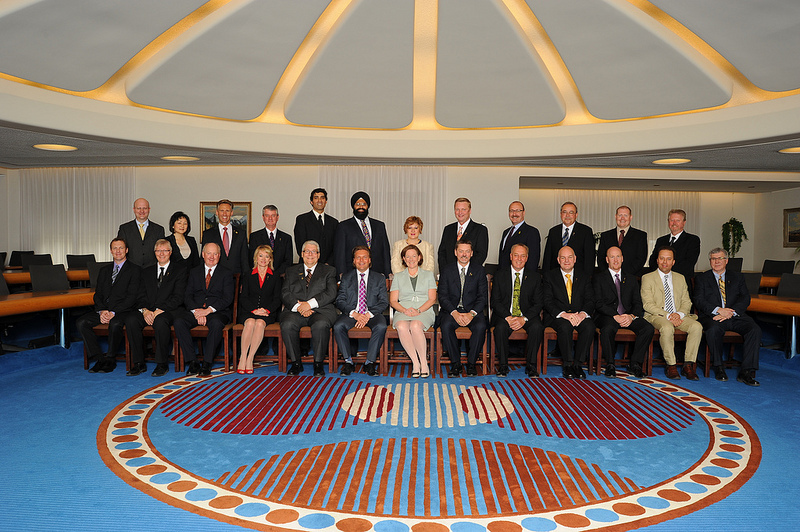 Premier Alison Redford's new cabinet ministers (photos from premierofalberta Flickr feed). Premier Alison Redford appointed her post-election cabinet ministers today after forgoing an initial press release and announcing them on Twitter. 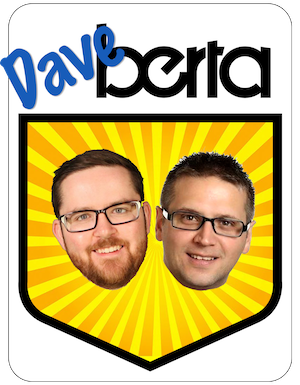 These picks and the legislation they will bring forward over the next four years will shape the direction Premier Redford wants to take her Progressive Conservative Party into the next election. The new cabinet will face a new Wildrose Party Official Opposition, which is dominated by rookie MLA’s from rural southern and central Alberta constituencies. The bleeding of large portions of the PC Party’s rural social conservative wing to Danielle Smith’s Wildrose Party in the April 2011 election could be a blessing for Premier Redford and her government. Keeping the Wildrose Party electorally contained in the rural south and central regions of the province, while focusing on issues that will appeal to the rapidly growing and diverse urban populations in Grande Prairie, Lethbridge, Red Deer, Calgary, Edmonton could be a solid strategy to provide a more forward-looking government agenda and preserve the PC Party’s electoral dominance in the coming decades. In the three years leading into this year’s election, the Wildrose proved extremely successful in using wedge issues like property rights and the construction of electrical transmission lines to drive traditional PC voters in rural southern and central Alberta constituencies into their electoral camp. If they have not already, the PC brain trust should take note of similar strategies that will keep the Wildrose Party at bay in urban centres. No longer forced to appease a more conservative rural base of MLAs and supporters, Premier Redford has an opportunity to lead a new urban agenda for Alberta, especially with the urban-based Liberal and NDP opposition pushed to the margins. With potential strong allies in Calgary Mayor Naheed Nenshi and Edmonton Mayor Stephen Mandel, Premier Redford could make strides on issues like reinvesting in Alberta’s Heritage Fund and investing in urban public transit and transportation infrastructure. If expected patterns of population growth continue, it is the urban areas which will receive additional constituencies in the Alberta Legislature when the boundaries are redistributed. This entry was posted in Alberta Politics and tagged Alison Redford, Cal Dallas, Christine Cusanelli, Danielle Smith, Dave Hancock, Diana McQueen, Doug Griffiths, Doug Horner, Fred Horne, Heather Klimchuk, Jeff Johnson, Jonathan Denis, Ken Hughes, Manmeet Bhullar, Naheed Nenshi, Ric McIver, Robin Campbell, Stephen Khan, Stephen Mandel, Thomas Lukaszuk, Verlyn Olson, Wayne Drysdale on May 8, 2012 by Dave Cournoyer. If the Premier is really in the mood for change perhaps she could do something about the “Star Trek” carpet in the cabinet room. As for modernizing urban areas – that will only happen if accompanied by economic diversification. Building more train lines doesn’t automatically make a city more sophisticated. Actually, that is the carpet at Government House, where the Cabinet was unveiled. Curious to see the exploding heads in the media today in Lethbridge over the shut-out of any representation in Cabinet by former Minister Greg Weadick and PC, then not PC, then PC again Bridget Pastoor. Apparently, the response to alienation of rural southern Alberta is to alientate them MORE. Given that agriculture is the second largest driver of the economy, it seems strange that everyone is lauding the urban side of the government. The rural people contribute a great deal to the economy, and an even greater contribution to the stewardship of land in Alberta. Those beautiful landscapes are the result of years of ranchers and farmers taking care of the land, managing the land to promote biodiversity, and protection of the watersheds. There is no recognition of these goods and services that we provide for the citizens of Alberta. So perhaps as all those “trains, and roads, and power lines, and houses, and condos, and McDonald’s are built- the urbanites might ask where they like to escape to, and when you have dinner tonite thank a rancher or a farmer! Yes maybe there wil be a grown up discussion, and I hope that it includes ALL Albertans. Or shall we be punished or bullied cause we put an X in a different spot! Now that would be juvenile! Looks like Chandler’s propaganda ‘e-news paper’ is doing some serious spamming. Dave, is someone spamming your comments section? What is it with all these “Beacons”? I’ve never heard of the “Grande Prairie Beacon”. Holy trackbacks, batman. I’ll remove these links this evening. All hail the mighty Beacon media empire! I DO appreciate the work that farmers and ranchers do to preserve and sustain our agricultural lands, and I DO appreciate the serious economic contributions that they make. I certainly see no advantage in “alienating” the rural voters, but I AM a little tired of how disproportionate their influence is on government decisions. If we are to believe in “majority rules” (and I think that most people in this province do), the reality is that the MAJORITY of people in this province live in urban areas, not rural ones. It’s not the “fault” of those that live in rural areas that their influence is so exagerated; I think a large part of it was the PC’s DELIBERATE gerrymandering of constituencies(about 20 or so years ago) to ensure that any urban opposition would be diluted by rural supporters. Not only that, but they also ensured that MOST of the rural ridings have considerably fewer voters than do urban ridings. It has worked for the PC’s for a long time, but with the rapid growth of the urban areas, it can no longer be justified, and therefore it makes sense for the PCs to adopt a more “urban” agenda. It also needs to be pointed out that, unfortunately, the days of the family farm are numbered. For a variety of reasons, few of which relate to government policy, and more of which can be attached to market economics, the family farms are being swallowed up by corporate interests, whose MAIN concerns relate more to returns on investment and less on responsible husbanding of the land. Pingback: The Charrette » Blog Archive » Last Week’s Roundup, Today!